HOW DO I GET MY CONCEALED CARRY WEAPON PERMIT? 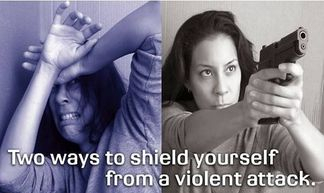 Mandatory: You must show proof that you have taken firearms training. You can take the training during the waiting period after you have been fingerprinted if necessary. 2. Bring in the application with cash or money order for $72.00 made payable to the Cassia County Sheriff’s Office. Go to the front window in the Sheriff’s Office and turn the application in, give them the money order or cash and they will take your fingerprints. 3. Fingerprints will be sent to Criminal Bureau of Investigations for a records check. We will call you when the records check comes back. This will take approximately 90 days. 4. After you receive the phone call, go to the Driver’s License Office to get your picture taken and pay the remaining $3.00 fee. This may be paid in any form, i.e. personal check, cash, or money order. 5. The permit is good for four years and may be renewed up to ninety days before expiration without penalty. Renewal is accomplished by filling out a new application and paying $40.00 to the records department. A records check will be performed and we will call you in approximately 30 days to let you know we are ready to issue the renewal. After you have received a phone call, go to the DRIVER’S LICENSE OFFICE to get your picture taken and pay a renewal fee of $3.00. This may be paid in any form: i.e. personal check, cash or money order. 6. A late fee for applying for a renewal after expiration and within 90 days is an additional $10.00. 7. Renewal after the 1 year expiration requires that the applicant start the procedure again. Fingerprints are required and the fee is $61.50 in cash or money order at the time the prints are taken. You will be notified within 90 days to come to the Driver’s License Office and pay $3.00. This fee may be paid in any form; i.e. cash, money order, or personal check. 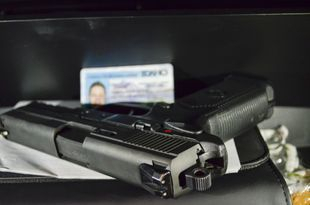 Applications for Concealed Carry Weapons Permits can be picked up at the Sheriff's Office Monday through Friday, business hours, excluding holidays. Provide completed and signed training Certificate of Completion (external link). The fee is $61.50 for the initial application, with an additional $3.00 upon issuance. The new permit is not an upgrade to any existing Concealed Carry Weapons permit and will be issued separately.